areena KKapoor is a busy star. She touched down in Mumbai on Monday night and today morning, she's back at work. The 37-year-old actress was photographed at the Mumbai airport and her Tashan, as always, was off the charts. Kareena wore a bright yellow Gucci top and rugged blue denim. The light brown stilettos and black bag aced her airport look. Kareena is currently filming Veere Di Wedding, her first project post-pregnancy. She married actor Saif Ali Khan in 2012 and the couple became parents last December. Kareena and Saif have named their son Taimur Ali Khan Pataudi. 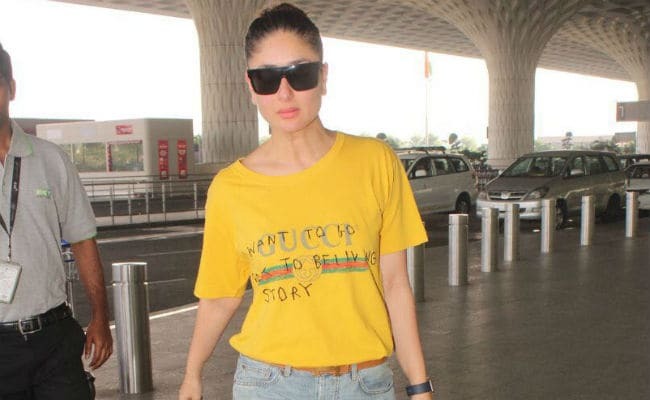 Here are Kareena's pictures at the airport. Just last night, Kareena, Saif and Taimur attended Soha Ali Khan's birthday party at her residence in Mumbai. New mom Soha, Saif's sister, turned 39 on Wednesday. She gave birth to a baby girl Inaaya Naumi Kemmu on September 29. Soha is married to actor Kunal Kemmu. Veere Di Wedding went on floors last month and since then, Kareena has been shuttling between Delhi and Mumbai. Taimur also accompanied Kareena to Delhi and the mother-son duo were photographed recently at the airport. 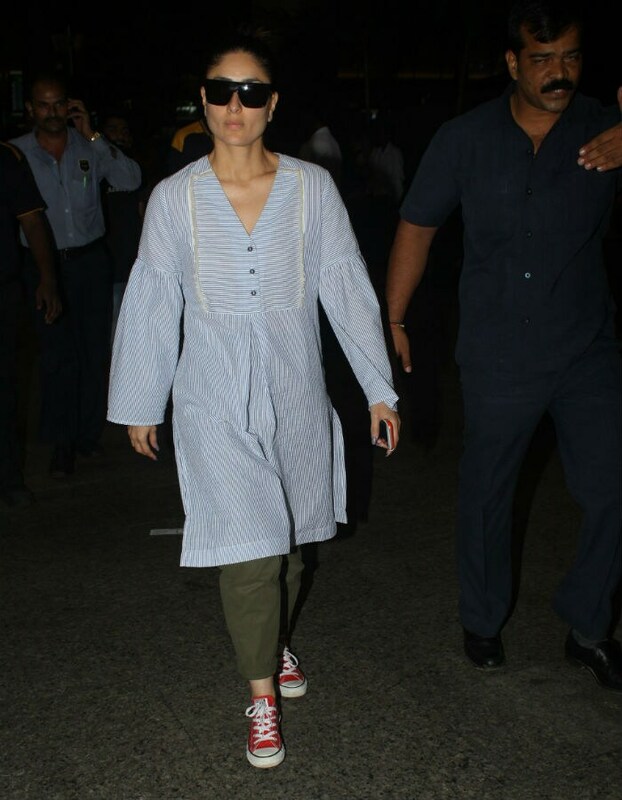 Kareena, who prefers to travel comfortably, wore a blue kurta, trouser and red sneakers. For Veere Di Wedding, Kareena, who features in two different roles, has been working out for nearly 10 hours a day. The film also stars Sonam Kapoor, Shikha Talsania, Swara Bhaskar and Sumeet Vyas. Veere Di Wedding is produced by Shashanka Ghosh while Rhea Kapoor, Sonam's sister is producing it.